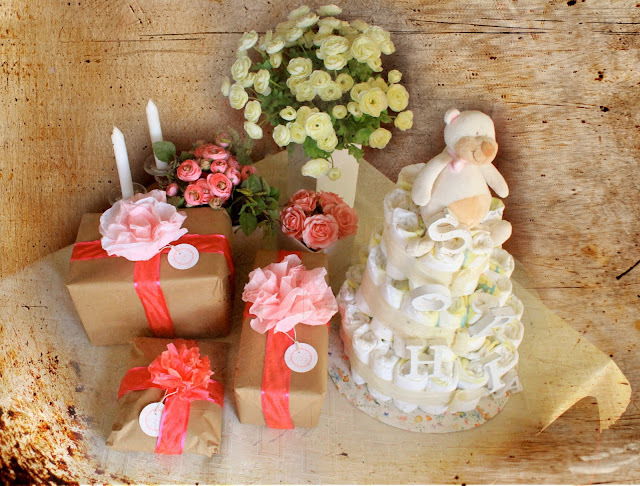 A while ago I made this little table display for a baby shower of one of my friends. 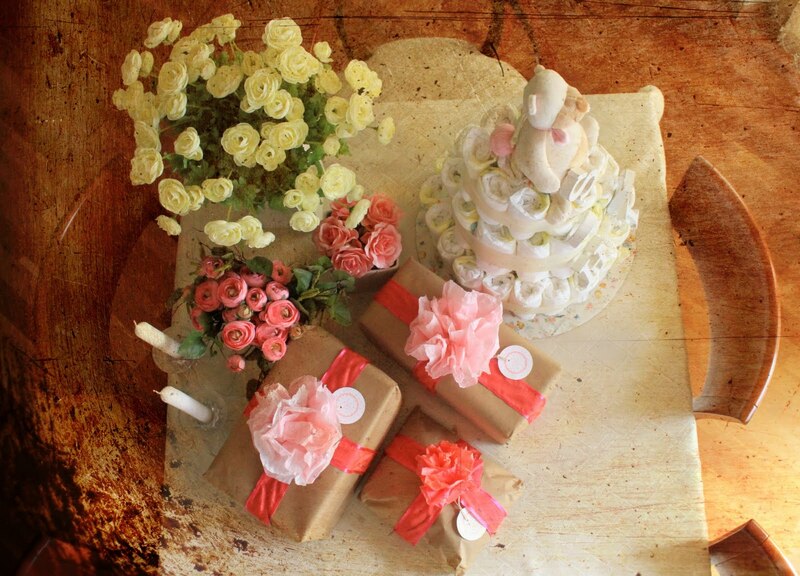 I already presented the wrapping style last weekend and now I'll show you the whole party picture. This is how was everything presented to my friend, even with couple flowers... everything in girly tones... everything in style. 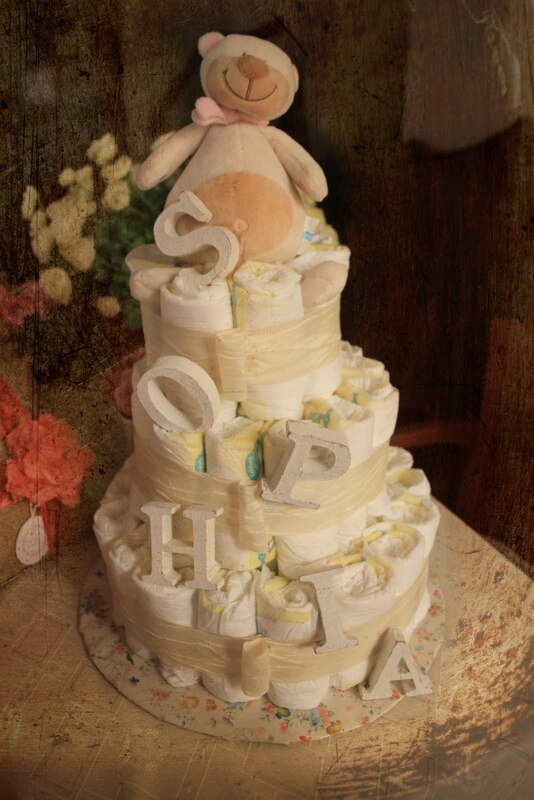 This was my 2nd diaper cake and I had much-much better outcome this time. This one was also much more bigger as more diapers were involved in this project and also some alcohol. Before you ask questions I explain... the cake is hiding a big rosa champaign bottle for the proud parents. My previous cake was little bit lame because it was hiding just couple baby bottles in there:) I told you... lame! From now I'm hiding only spirits in there to give little surprise to the exhausted parents who can enjoy an evening with a nice glass of vine or good old cognac. Also, to explain the weird picture look... now that's me playing with layers and textures in Photoshop a little bit. I wanted to make the pics looking more interesting. I hope it worked:) Have a great week!